K-Pop sensation SEVENTEEN made a stop in Singapore for their “IDEAL CUT” world tour on the 21st of September at the Singapore Indoor Stadium. Like the past two concerts they held here, they put up a smashing energy-packed performance for our local CARATs! 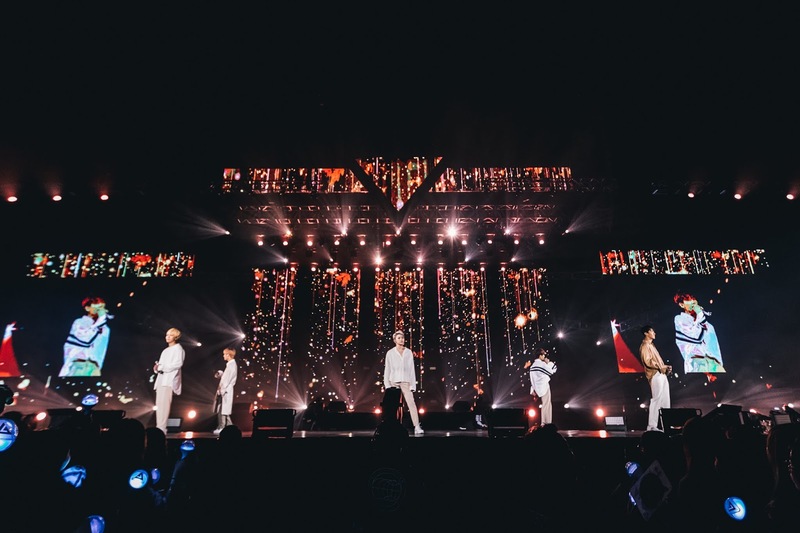 They first started off by hyping up the crowd with “HIGHLIGHT” and “Thanks”, followed by a series of power-packed performances of tracks like “Flower”, “NO F.U.N” and “Chuck”. Despite the fact that they must be really tired from their tour, they made sure to put up an amazing show with never-faltering smiles. 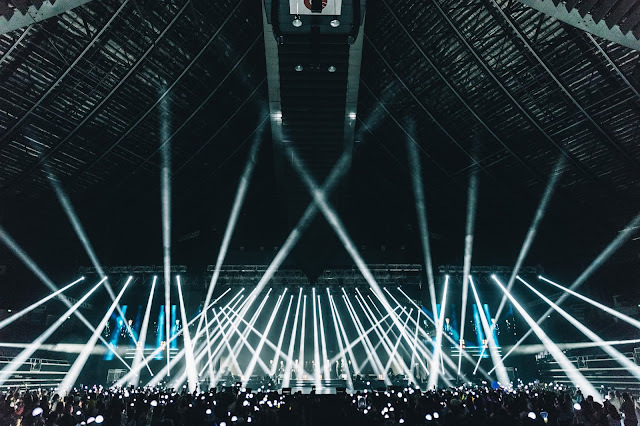 The atmostphere in the stadium was crazy – which is a given, considering that CARATs were cheering the boys on with constant screams. 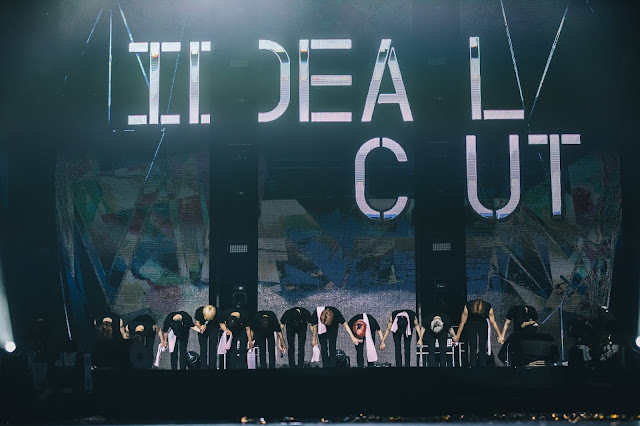 SEVENTEEN definitely felt that, and made sure to express their love and appreciation throughout the concert, be it through simple gestures like sending heart signs or through their speeches. 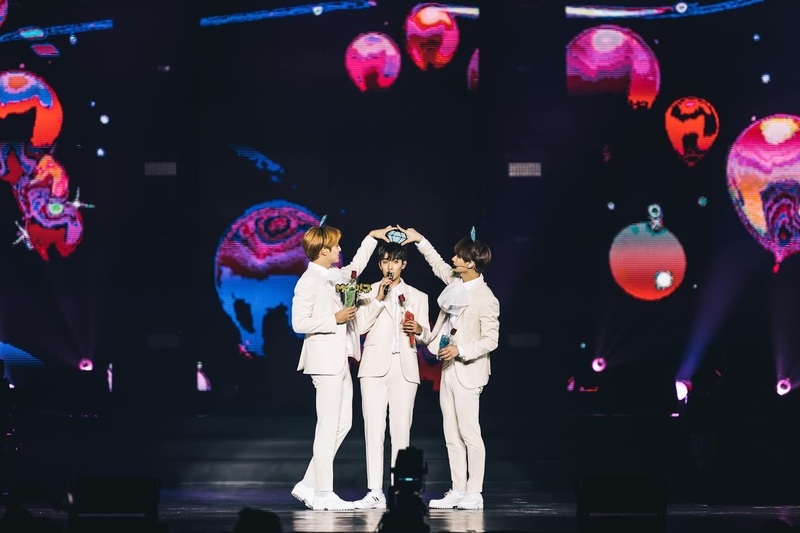 They flaunted their multi-lingual skills as a group by making an effort to communicate with local fans in Chinese and English. Seungkwan also mentioned that he really misses Singaporean CARATs, making the fans’ hearts flutter. They then subsequently divided themselves up into their three sub-units. 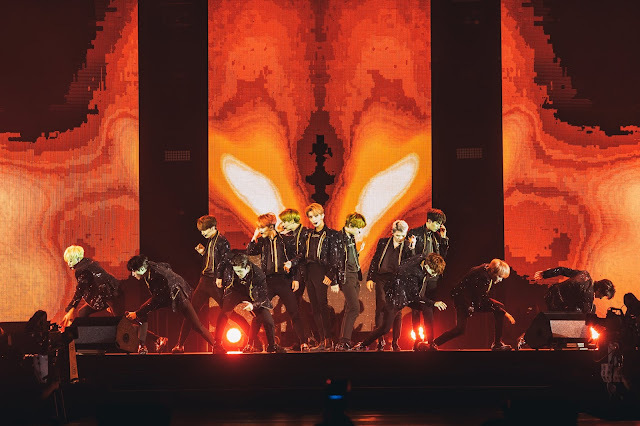 The hiphop team started the segment of with a powerful performance of “Un Haeng Il Chi” and also of an unreleased song, “Sukyo”. The vocal team then came up and spoilt the fans by serenading them with their sweet voices through the songs “Habit” and “Pinwheel”, followed by the performance team with their fun and quirky moves accompanied by tracks “SWIMMING FOOL” and “JAM JAM”. They then moved on to youthful and boyish concepts with tracks such as “Pretty U”, “Adore U” as well as their latest track “Oh My!”; once again highlighting their variety of charms and their talent to suit contrasting concepts. then ended the concert with an energetic performance of “Aju Nice”. We would like to thank FastTrackEvents for the invitation. Please follow GOkpop on our social media for exclusive news and live-updates.